Deepish colour. Generous crunchy red fruit, maybe with some plums in the mix, Lovely fresh finish. A very well balanced triangle of fruit, tannins and acidity defines the quality of this excellent wine. 100% stems used in vinification but they hardly show. Domaine de Montille picked between the 18th and 26th September in 2010. 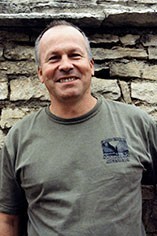 The red wines, made by American Brian Sieve (one of two winemakers in this catalogue born in Indianapolis!) under the surveillance of Etienne de Montille, now show a consistency of style and quality that perhaps was not entirely there a few years ago. The whites are the responsibility of Etiennes sister Alix and maintain the class of recent times. Together they have produced a fine result in 2010. 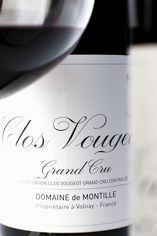 The Wine Advocate - The 2010 Clos Vougeot is a big, big wine. Firm, yet well-integrated tannins support an explosive core of dark red fruit in this huge Clos Vougeot. This is one of the few de Montille 2010s that tends towards very dark tonalities of fruit. The massive, explosive finish is a hint of what is to come, but the Clos Vougeot will require considerable patience. It is a dazzling effort. Anticipated maturity: 2030-2050.